Born in 1926 in Heinebach (Hesse), Gundlach got his first camera, an Agfa-Box, in 1938. 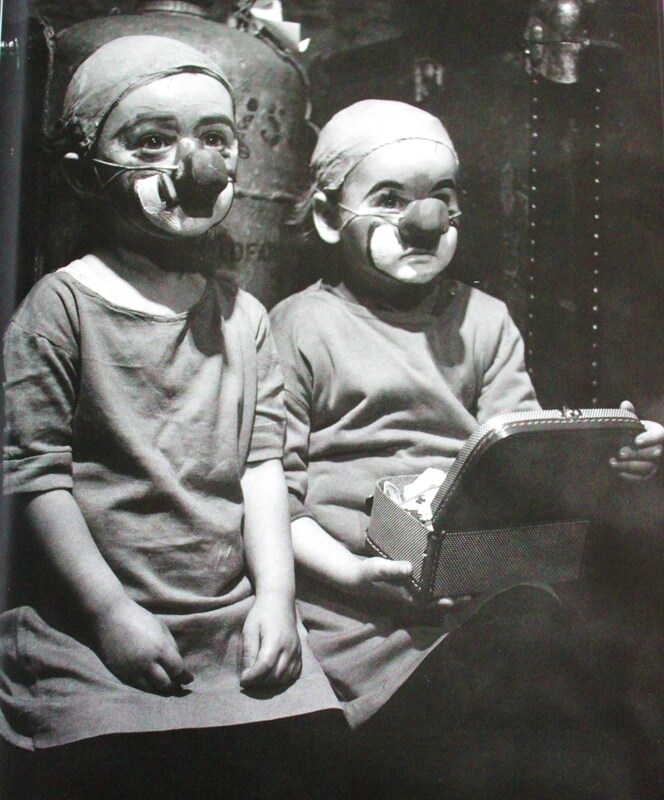 After his release from an American POW camp, he studied photography in Kassel between 1946 and 1949. His first freelance publications were theatre and film reports for different magazines like Stern, Quick, and Revue. In 1953 he began to specialize in fashion photography in a journalistic style for the Hamburg-based magazine Film und Frau. 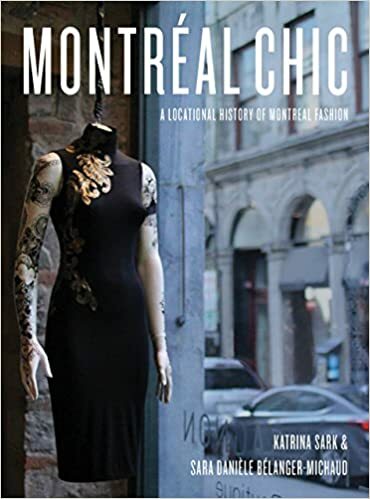 During that time, he documented the fashion of Berlin designers, Paris haute couture, as well as portraits and fashion shots of international film stars. Film und Frau addressed itself to a bourgeois readership of the economic miracle years. Through film and fashion, “the magazine sought to restore the war-damaged façade of ‘bürgerliche Sittlichkeit’ (bourgeois ethics) in its copper-font and generous layout,” (Klaus Honnef, “F.C. 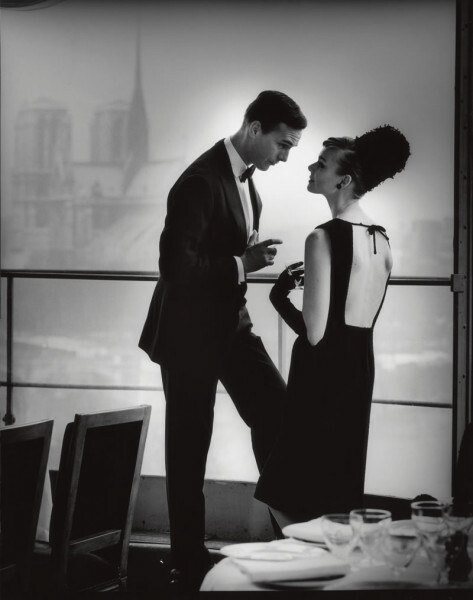 Gundlach,” in F.C. Gundlach – Das fotografische Werk, p.38). 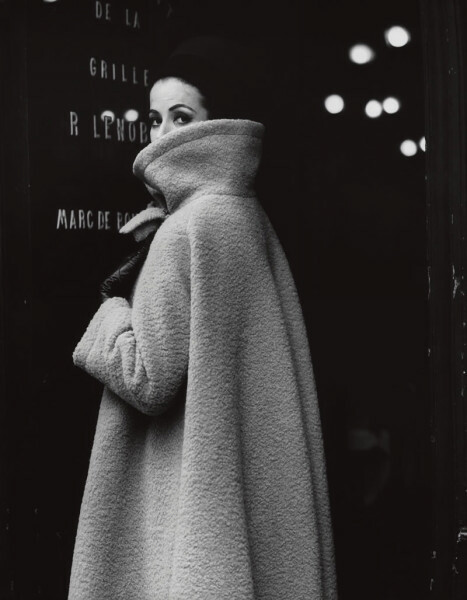 From 1963 onwards, Gundlach worked as the leading photographer for Brigitte, creating more than 5500 pages as well as about 180 magazine covers (p.390), and from 1966 had an exclusive contract with the magazine that was becoming Germany’s leading women’s fashion publication. Brigitte readers were different from the readership of Film und Frau. 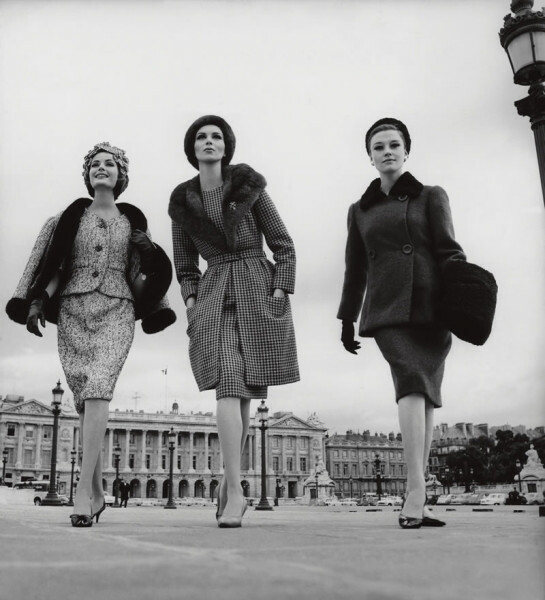 The images began to reflect social transformation through women’s fashion, appearance and poses. Women were not longer portrayed as society ladies, strongly rooted in their urban environment, and rather limited by staged gracefulness in their poses, but increasingly began to resemble today’s young, dynamic globe-trotters (perhaps best iconized by the Drei-Wetter-Taft hairspray commercial throughout the 1980s and 90s, in which a woman steps out of a jet plane in a different city three times a day, while her hair remains perfectly styled). In 1975 Gundlach founded the PPS Galerie F.C. 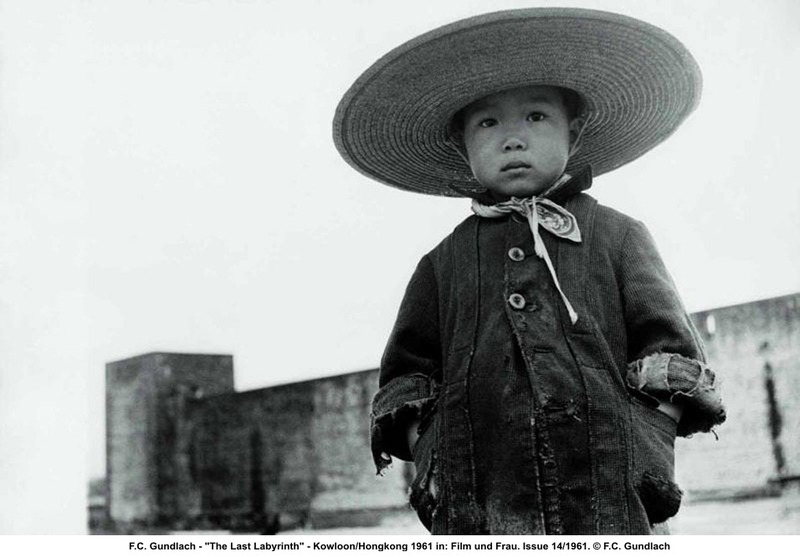 Gundlach, one of the first photo galleries in Germany dedicated to photography only. From 1988, Gundlach was professor at the Berlin University of the Arts and curator of photographic exhibitions, many of them dedicated to fashion photography. 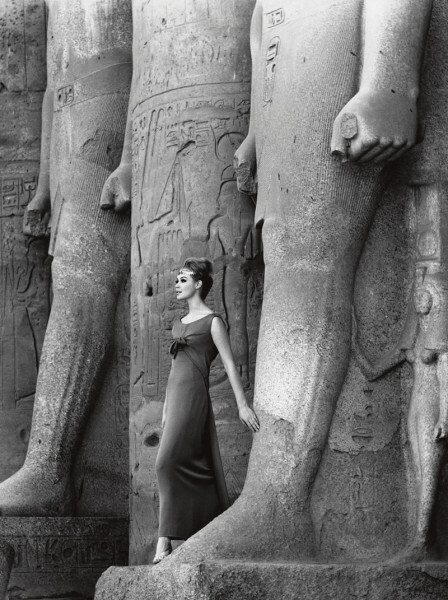 In 2000, Gundlach committed his extensive photographic collection and his own photographic work into the F.C. Gundlach Foundation. In 2003, he was appointed founding director of the House of Photography in the Deichtorhallen by the Senate of Hamburg and dedicated his collection “The human image in photography” as a permanent loan. In November 2009 a retrospective of his work “F.C. Gundlach – Das fotografische Werk” opened at the Martin-Gropius-Bau in Berlin, curated by Klaus Honnef (Documenta curator and professor of photography theory at Kassel University). From his early freelance days until late into the 1950s, Gundlach used a Rolleiflex camera with a built-in 75mm lens. For studio-made cover shots, he used a Linhof large image camera. From 1956 on, he used the Hasselblad camera with changeable lenses for images in format 6x6cm, achieving greater variation of perspective and composition. 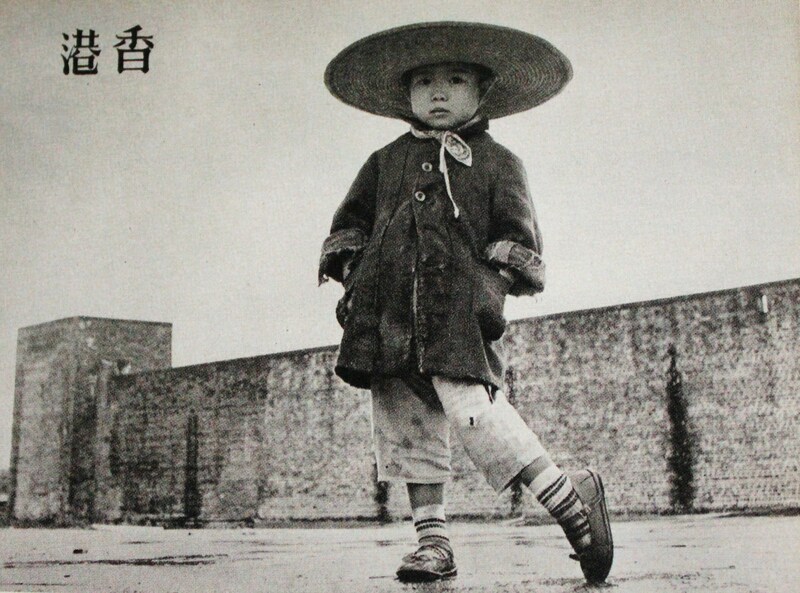 From the mid-1950s, he also used Leica, a small image camera with a wide-angle lens, which was later replaced by Nikon. Gundlach explained his overall lens preference as: “28mm was my lens. Because one could get closer, one could get a steeper perspective and a sharper depth of field, even with multiple image levels,”(Sabastian Lux „Die Erfindung eines fotografischen Stils,“ in F.C. Gundlach – Das fotografische Werk, p.140-41). 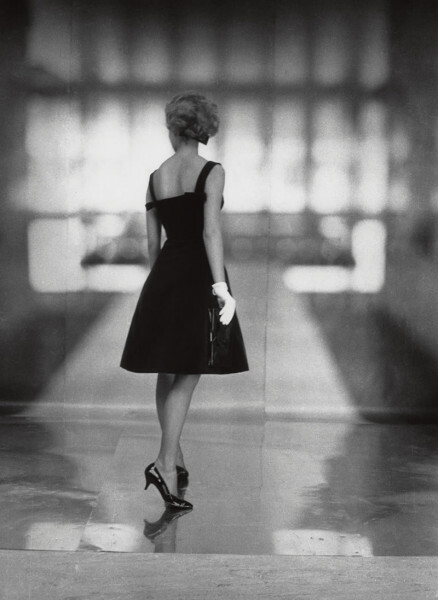 With this variety of photographic perspectives, Gundlach captured the “lifestyle sensibilities of at least two generations of German women,” (Klaus Honnef, „F.C.Gundlach: Porträtist der deutschen Nachkriegsgesellschft“ in Museums Journal Nr.4, p.75), as well as the „mental and emotional state of the West-German postwar society.” Over the years, his photographic language and composition changed: in the 1950s, he presented in staged and arranged interior shots the “dream of matter-of-fact luxury;” in the late 1950s travel fashion photography shot on location in Egypt, Kenya or Morocco captured the yearning for far-away places; in the 1960s confidently mannered poses of a new corporeality and emancipation; in the 1970s fashion photography became liberated from the dictates of staging (Sebastian Lux, „Die Erfindung eines fotografischen Stils,“ in F.C. Gundlach – Das fotografische Werk, 162). 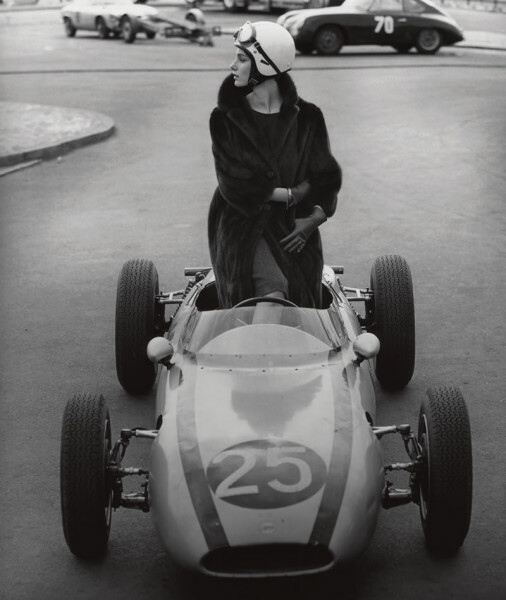 Mobility in fashion, and in society at large, was symbolized by planes, trains and automobiles. 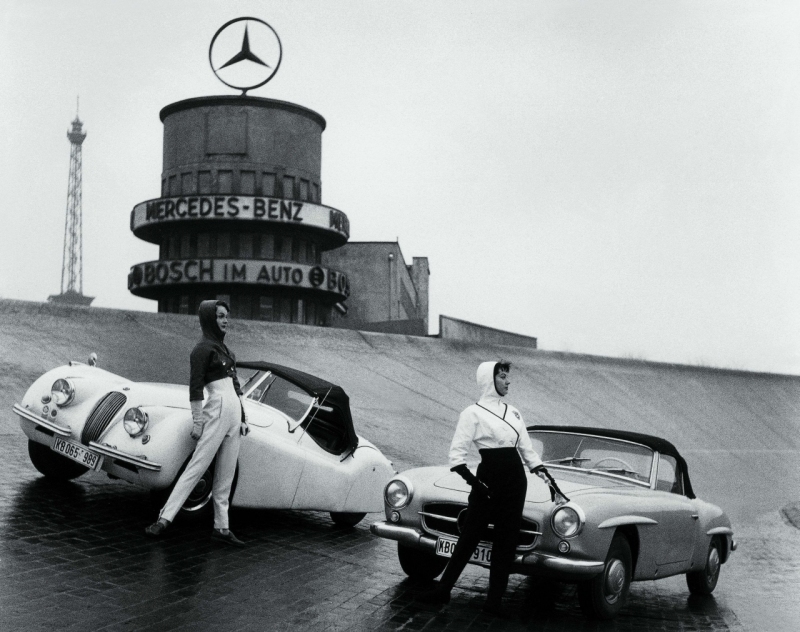 One of Gundlach’s most canonical Berlin shots is an image of two women in sporty outfits designed by Staebe-Seger, standing in identical, almost balletristic poses next to two convertible sports cars, at the Avus racetrack / highway in West-Berlin, with a large Mercedes Benz sign in the background, in 1962. With today’s Mercedes-Benz Fashion Week Berlin, the fashion wheel of cars and clothes has come full circle. While Walter Benjamin saw fashion as an “expression of the social unconscious and a great anticipation of the future,” (Doris Kolesch, “Mode, Moderne und Kunsttheorie,” in Mode,Weiblichkeit und Modernität, by Gertrud Lehnert. 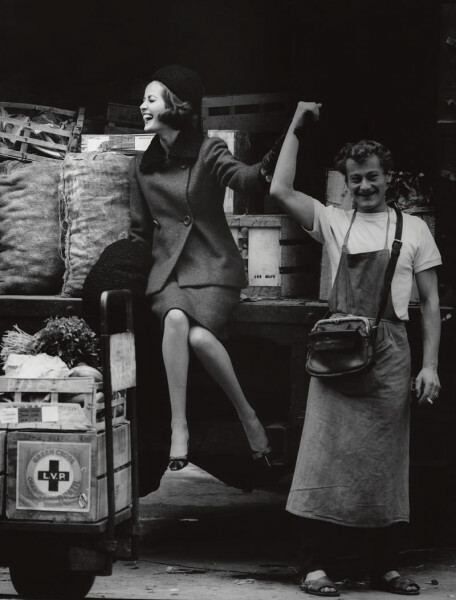 Dortmund: Ebersbach, 1998, p.33), Gundlach saw fashion photography as a “mirror of collective dreams” (Klaus Honnef, “F.C.Gundlach,” 84). Over the span of Gundlach’s work, transformations, differences, as well as similarities of those dreams become apparent. “In fashion photography, the world is usually photographed as a decor, a background or a scene, in short, as a theatre. The theatre of fashion is always thematic: an idea (or, more precisely a word) is varied through a series of examples or analogies” (Roland Barthes, The Fashion System, 1984. p.301). 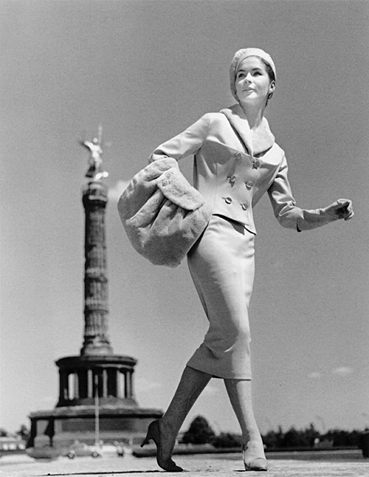 In Gundlach’s Berlin shots, the city is always clearly recognizable, making a clear connection between fashion and the city with the help of women. 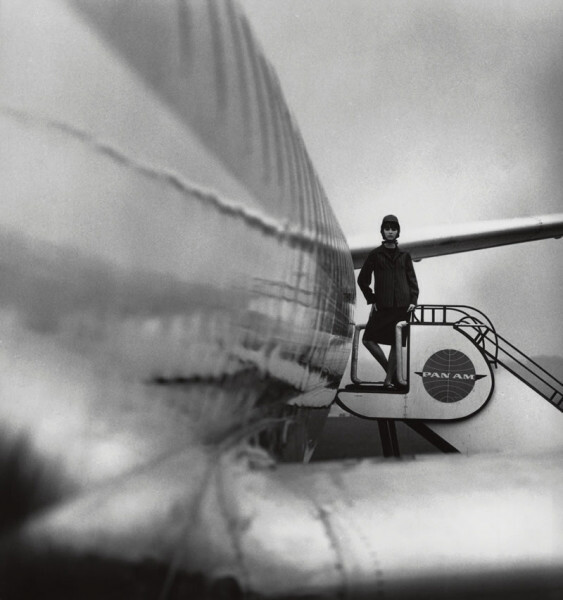 As a young man, Gundlach contemplated between a career in architecture or photography, perhaps choosing photography out of pragmatic reasoning. Yet his love for architecture never faded (Klaus Honnef, “F.C. Gundlach“ p.22). 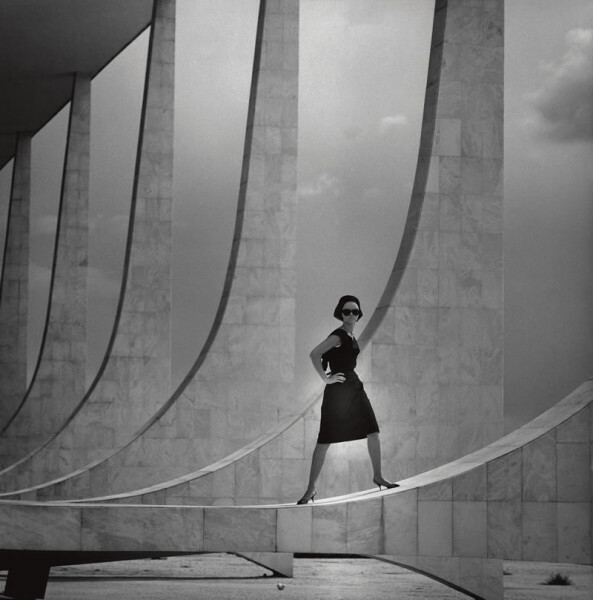 Similar to Michelangelo Antonioni’s cinematic endeavours at that time, Gundlach understood architectural forms as framing structures for a photographic composition that communicated more than just fashion on the street. 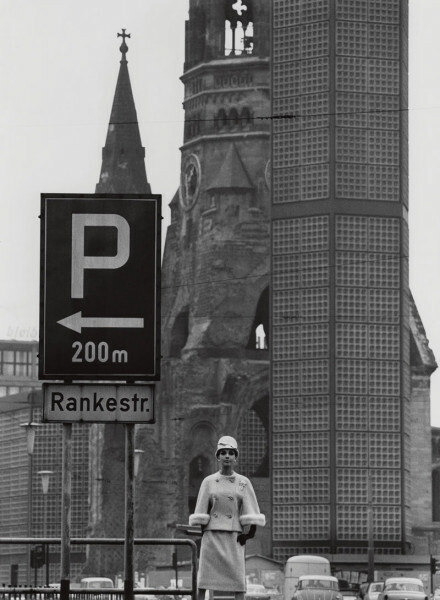 Pushing the image surface to its possible limits, Gundlach continuously experimented with perspectives and depth of field to capture Berlin’s structures and sites, like the Brandenburg Gate, City Hall, Victory Column, Kaiser Wilhelm Memorial Church, to reveal the changing history of the city. 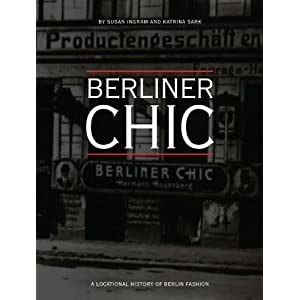 He explained the meaning of the city to his photography, stating, “Photographing fashion in Berlin always implied for me making the city be felt”(Sabastian Lux, „Die Erfindung eines fotografischen Stils,“ in F.C. Gundlach – Das fotografische Werk, 136). 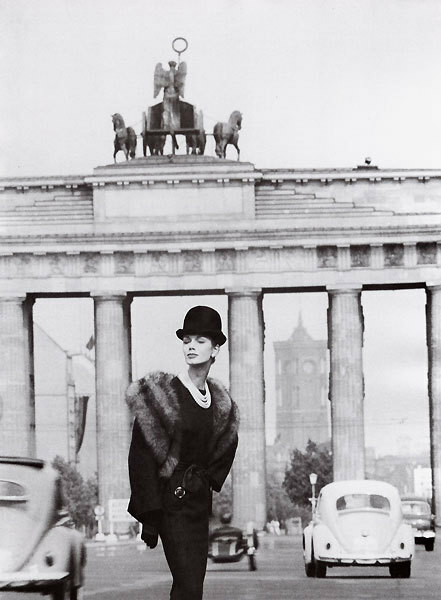 Berlin as the theatre of Cold-War ideologies and Berlin as a theatre of booming fashion design coexist in Gundlach’s image of the (still open) Brandenburg Gate with model Lissy Schaper for a fashion report entitled “Seen in Berlin” for Film und Frau (Heft 3/1961). Brandenburg Gate functions as a symbol of the broken self-understanding of the divided city. 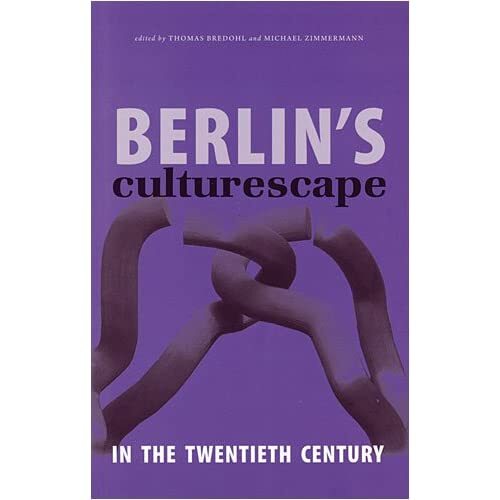 The short text reflects both aspects, fashion and history: “On the other side of the Brandenburg Gate, where the silhouette of the old Berlin City Hall can be made out, starts the East sector. 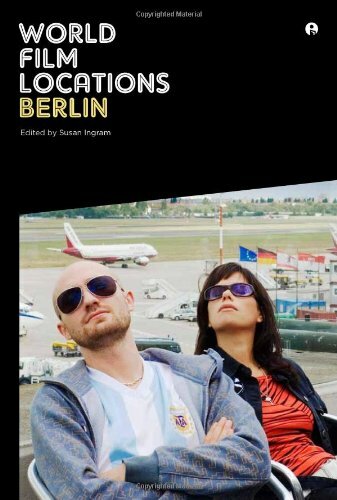 On this side is West-Berlin, the fashion metropolis on the Spree river and residence of internationally-renowned fashion houses.” (Sebastian Lux, “Die Erfindung eines fotografischen Stils,” in F.C. Gundlach – Das fotografische Werk, 136). In a Spiegel interview announcing the opening of F.C. Gundlach’s retrospective exhibition at the Martin-Gropius-Bau in Berlin between November 2009 and March 2010, the now retired photographer was asked about the height of his career in the 1960s: “The sixties brought real social revolutions in gear: the miniskirt, emancipation, pop-art, op-art, and especially the music, the freedom – all that was reflected in fashion. I went out with my camera and shot the modern woman in the street. That was very inspiring.” (“Haupsache, biestig gucken” F.C. Gundlach, in Der Spiegel N.47 / 16.11.09). 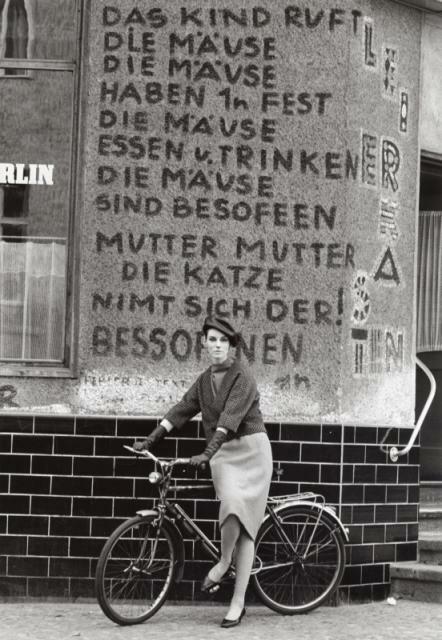 The modern woman on the street became Gundlach’s narrative of the visual matrix of German postwar society. When asked what today’s fashion reveals about the current Zeitgeist, Gundlach answered: “I find that there are increasingly fewer possibilities to be extravagant. Deciding to wear something blue is enough to be considered out of line. At the Fashion Week in Berlin everything seemed to be very uniform. People have conformed, they do not want to stand out. Sometimes I think that they only go with the fashion in order to hide behind it.” (F.C. Gundlach, in Der Spiegel, N.47 / 16.11.09). Roland Barthes, The Fashion System. Trans. by Matthew Ward and Richard Howard. New York: Hill and Wang, 1984. F.C. Gundlach – Das fotografische Werk. Herausgegeben von Klaus Honnef und Hans-Michael Koetzle, Göttingen: Steidl, 2008. F.C. Gundlach: Fotograph. Dir. Reiner Holzemer and Hans-Michael Koetzle, 2008 (DVD). Klaus Honnef, „F.C.Gundlach: Porträtist der deutschen Nachkriegsgesellschft“ in Museums Journal, Nr.4, 23. Oktober-Dezember 2009, pp.75-76. Gertrud Lehnert. Mode,Weiblichkeit und Modernität. Dortmund: Ebersbach, 1998. “Haupsache, biestig gucken” F.C. Gundlach, in Der Spiegel, N.47 / 16.11.09. This entry was posted in Berlin, Books, Fashion, Photography. Bookmark the permalink.